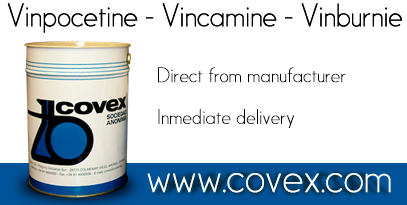 Vinpocetine is normally taken orally, 5-10mg, two or three times daily. Some people report feeling ''over-revved'' from higher! more frequent dosing, and report as little as 2.5mg once or twice daily to be useful but not over-stimulating. Mild and transient nausea, though rare, is more likely to occur when Vinpocetine is taken on an empty stomach. Sublingually (when the absorption of the product is produced in the capillaries of the underside of the tongue and once the drug goes into the blood via jugular joins directly into the general circulation) Vinpocetine may allow lower dose (2.5mg) use, with quicker and sometimes more noticeable effect. While Vinpocetine may need to be used for weeks or months before seeing major improvement in medical situations, the cognitive enhancement benefits may be noticeable from even a single dose, or within the first several days' use. Improvements in cerebral disorders and in hearing and vision problems may last only as long as the product continues to be taken. Because Vinpocetine enhances cerebral blood flow, it may potentate other nootropic! cerebro-active products taken simultaneously, thus allowing! requiring then to be taken in lower doses.